Wordless Wednesday - 108 - A Rose Is A Rose Is A Rose! Lol Shilpa, a great way to convey a social message. Creative post. Loved this. Sometimes, it takes something quite unusual as these, to drive home the message and how! I’m curious about one thing – Where did you find them, Shilpa? Oh yes, sometimes these unusual and creative advertising is more impactful and creates a positive impression on the mind. Yeah, this is an impressive campaign, masses can connect with it easily. Thanks Priya. How are you, girl. Long long time! What a smart idea! So much of recall. Wondering what all these people were commenting since I don’t know Hindi. He …. he ….. Ouch!! 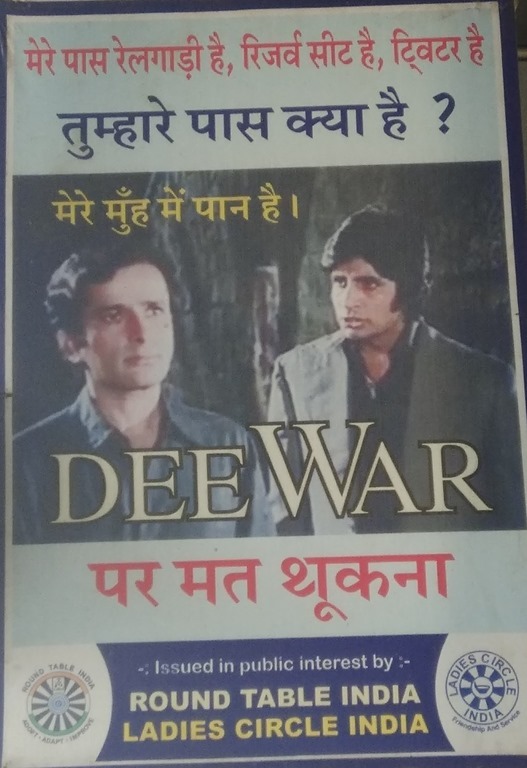 These are social messages on keeping the public places clean based on bollywood movies. I was going to make the same comments as Ms. Vasantha Vivek. Then I read your reply to her. It is a beautiful social message. 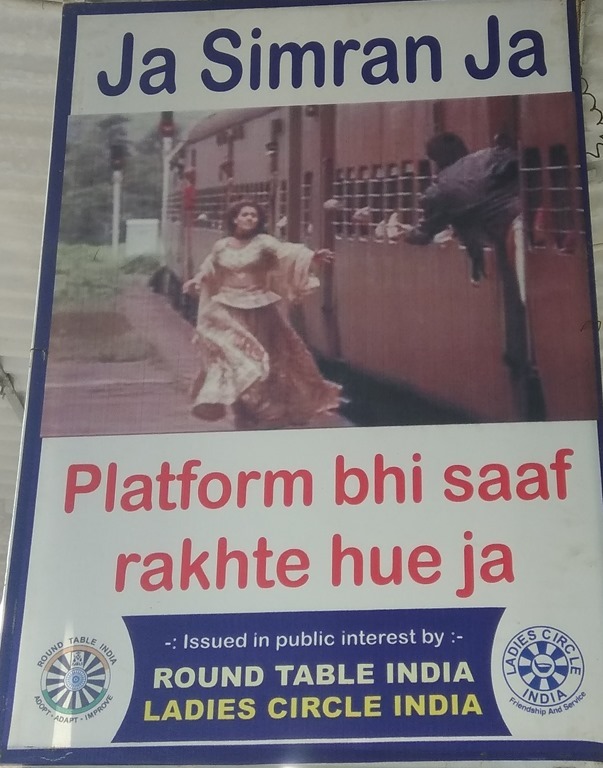 Shilpa, I have seen the same posters at Mumbai railway stations too. Absolute genius. 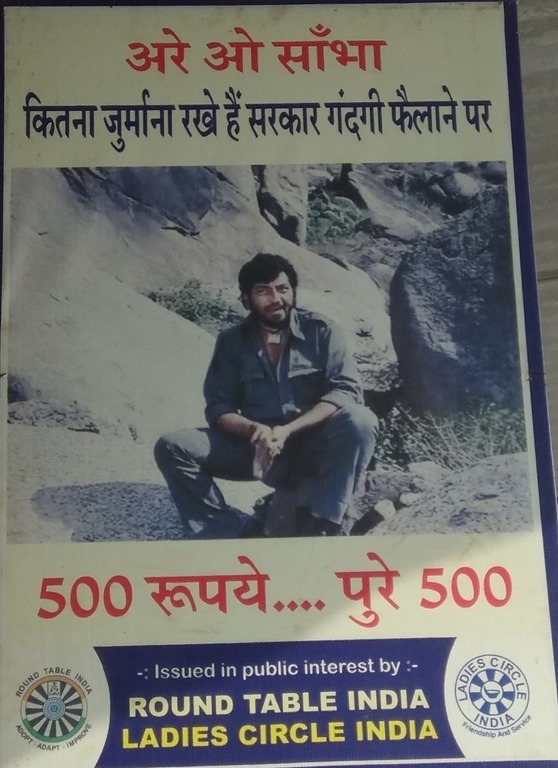 We surely got to use filmy stuff to promote a social message… Isn’t it??? Ha ha these were so cute. You do see the strangest things Shilpa.